It is more than 50 years since Frantz Fanon’s death as well as the 20th anniversary of Isaac Julien and Mark Nash’s film portrait “Frantz Fanon: Black Skin, White Mask”(1996). Fanon was a revolutionary, writer and psychiatrist, whose classic publications The Wretched of the Earth (1961) and Black Skin White Mask (1952) remain the bibles of decolonisation. Today, this poetic film on Fanon’s life and works gives us clues as to why questions of violence, racial intolerance and religious fundamentalism continually haunt the present. Colin Salmon brings Fanon alive to a contemporary audience through his enigmatic performance, conveying Fanon’s thoughts, actions and desires. What does Fanon have to say to us today in the 21st century, in these turbulent times of civil unrest, Black Lives Matter, the ‘War on Terror’? Utilising experimental narratives and drama documentary techniques together with interviews with Homi K. Bhabha, Maryse Condé, Françoise Vergès and the late Stuart Hall, the film traces the trajectories of these key debates, which were first articulated by Fanon in his life’s work. 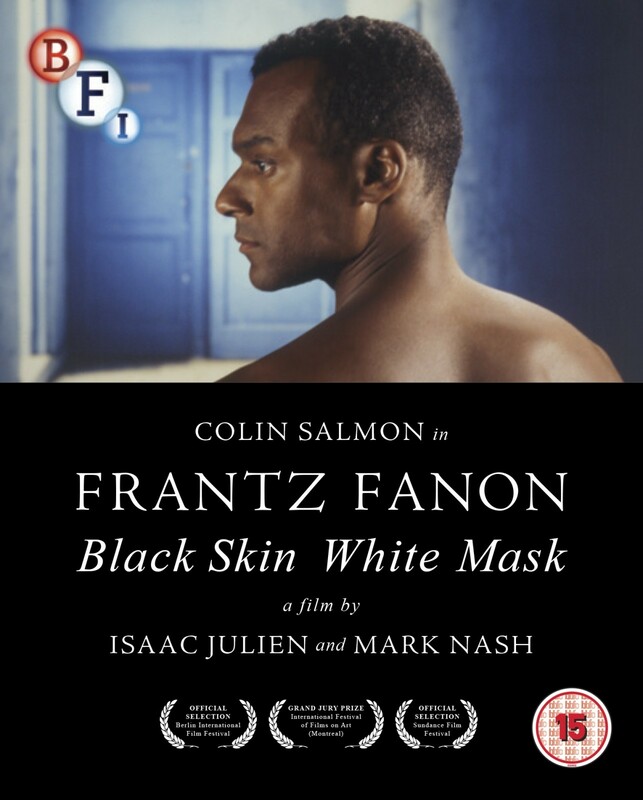 Frantz Fanon: Black Skin White Mask was shot on Super-16 and digitally edited. It was originally released on 35mm in 1996. For this newly conserved version the producers went back to the original negative, and reconstructed the original film on High Definition with assistance from the BFI’s Unlocking Film Heritage Fund. This restored version is now available on Blu-ray and DVD from the British Film Institute.